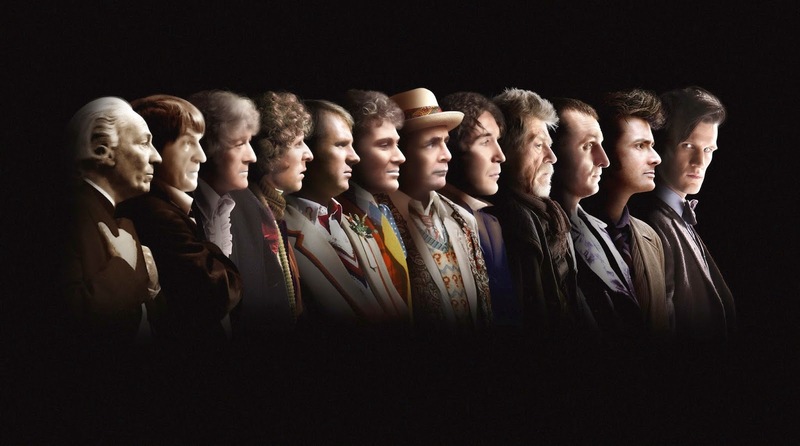 In 2013 the BBC released this image as part of the Doctor Who 50th anniversary celebrations. 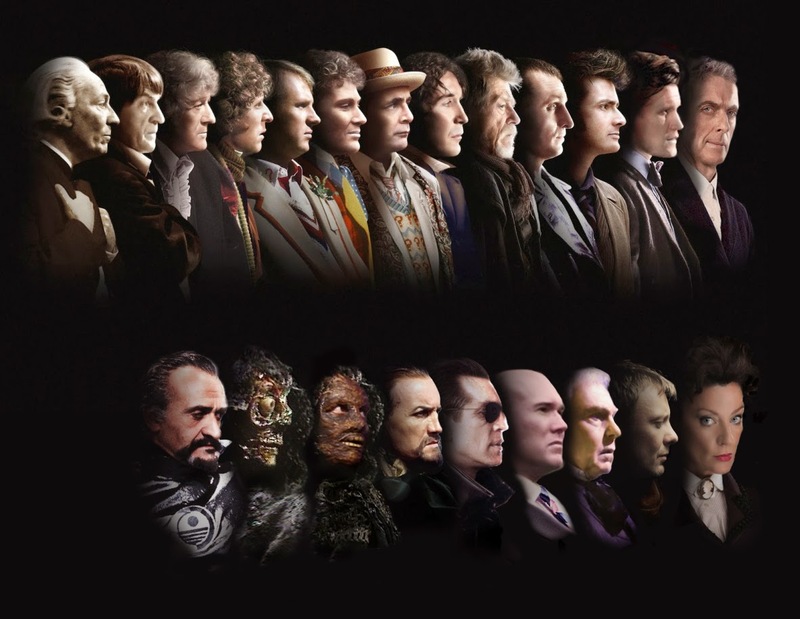 They have yet to update it with Peter Capaldi, the Twelfth Doctor, and they have yet to do a similar image for The Masters. I got tired of waiting and made one myself. If you're wondering why Julius from the Thick of It is in there, it's because Alex MacQueen plays The Master opposite Paul McGann's Eighth Doctor in Big Finish's Dark Eyes series, and he's bloody brilliant. Since McGann name dropped his Big Finish companions in Night of the Doctor (including Molly O'Sullivan, his companion in Dark Eyes) we know that Big Finish is canon, so MacQueen totally counts.